If you want your website to top in google search results you need a strategy to optimize your site. Off page SEO tells Google the relationship of your website and what they think about your page. SEO optimization is not easy, and we often limit ourselves to ON Page SEO. 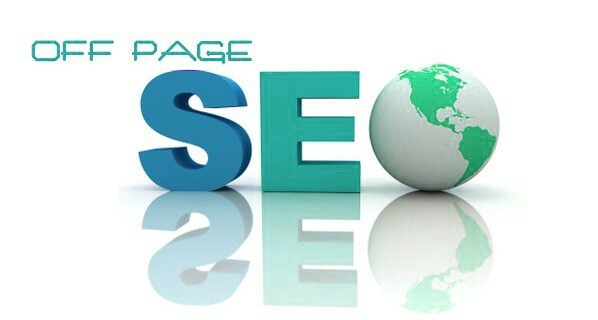 However, a basic understanding of your OFF page SEO is required to rank your page on Google. OFF page SEO is everything you do with your site ways from your website. Here are some key points we should work on to improve OFF-page SEO. It is almost impossible for Google to determine the rank or value of your page if there are no links pointing to your website. When we talk about link building, it should be quality link always. Always pay attention to the pages you are linking to. If there is a no-follow attribute link means the page is telling the Search engine to ignore your website or page. Quality in the links is the most important factor. The best links are from the high domain authority and trusted websites. Social signals to your website are important to the search engine to rank and identify the value of your website. Social media is the strongest market ever. It is now a day very important to develop your online reputation. There are a few things you should take care of your social media presence. You must be responsive and available. Befriends with everyone to build a good connection. Some influencers can share your brand with their followers which automatically increases awareness of your site. This is one of the excellent OFF page SEO technique to generate organic traffic to your site. When you give attention to someone else’s story you automatically attract them towards you. It will increase your visibility and SERP ranking. Contributing to other website builds your relationship with them. This is also a great way to get a backlink from them. Many of the good domain authority websites are open for the Guest post and provide a do-follow backlink to your page. This increases the credibility of your website. This is a good way to advertise your brand or blog with others. The content in the guest post should be of high quality as it is the impression of your website on other’s website. This will help you building backlinks and increase organic traffic. Forums are the great way to show your presence around. Forums are the places where most of the people are available and you can find your audience there. This is an opportunity to set up a relationship and promote your brand both at the same time. One must suggestion here is “Don’t be blunt”. Do not show people that you are promoting your page. Give them relevant idea or content to read. Quora, eHow, Reddit, yahoo answers are the great platforms to play and set your reputation with. This can bring avid readers to your blog and organic traffic too. SEO is not the one-day thing. It takes time and requires a good strategy to work on. SEO goes parallel with your content and both of them are the key factor of your website ranking.